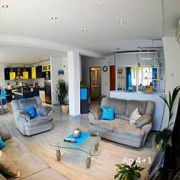 Luxurious and modern apartment 4-5 persons, 2 bedrooms, large kitchen and living room, WC, 2 balconies, parking … More » . 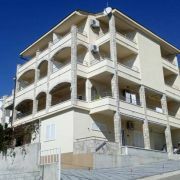 Large apartment 2+1, large kitchen, TV/WC, terrace, parking. 2x apartment, kitchen, WC, TV, AC, small balcony, parking. 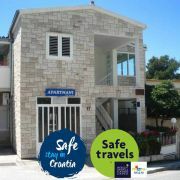 Miletic House is a beautiful Dalmatian stone house, renovated in the year 2007. 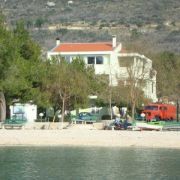 It is situated on the coast, the … More » beach and the center are 50m far. We can accommodate up to 10 persons. Ideal for family or a group of friends who want to spend their vacation in great location and at an excellent price. 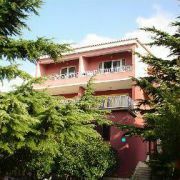 We are offering the following accommodations: Double room with toilet, separate kitchen and balcony. Room for three … More » persons with toilet, separate kitchen, balcony, best for families with a small child. 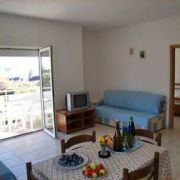 Two rooms for four or five persons with two toilets, separate kitchen and a large terrace. 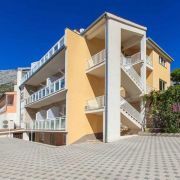 The database contains direct contacts to owners of accommodation in Baška Voda. Reservations are passed without any middleman and commission!